Fall, current day, Atlantic Ocean. Another hurricane tears through the Bahamas, headed for Florida. Among the wreckage: a U.S. Coast Guard rescue boat, one survivor (Ret Cooper), and a spherical object of curious design (the Oracle). Ret Cooper is a simple young man with mysterious origins, unique physical features, and no memory of his past. His new family and friends discover he is truly extraordinary, with supernatural powers and strange scars on the palms of his hands. But what is his destiny? The Oracle is the key to Earth's unity and full potential, too perfect to be man-made. Legend claims it can unleash limitless power when filled with Mother Nature's six, pure, original elements. But where are these elements? And which of our planet's ancient secrets will be explained in the process of locating them? 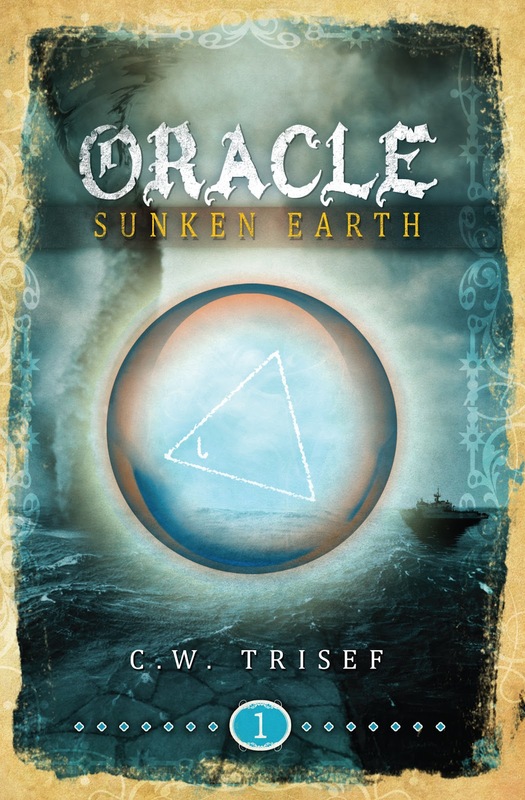 First Impressions: I was asked to read Oracle - Sunken Earth by the authors agent a few months ago. I decided to give the book a try even know pure fantasy is not one of my favorite genre's. I adore the cover, so very colorful. I also love that the book is set in Florida and since I myself used to live there at one time thought it would make for a good read. Even before reading the book I was glad that I did know the area and was aware of the kind of hurricanes that go through there. I was intrigued to find out how the author would portray such intense storms and have them tie into the story itself. 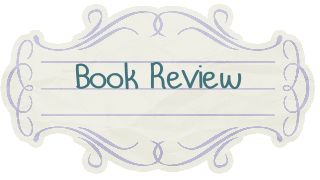 My Review: The book takes place in the present day and begins with a very intense scene in which the captain of the US coast guard, Jaret Cooper is rushing to a boat in the ocean which is on fire in attempt try to save all aboard. Once he arrives on scene he comes in contact with a old man and a boy fighting over a round object. Jaret knows he must rescue those aboard but when a old man refuses to leave without taking what he came for. After a short battle scene Jaret gets the boy off the boat and on the life raft but he himself goes down on the sinking boat, now lost at sea. The boy he saved is found and taken in by Jaret's family who soon adopts him. Ret does not remember any of his past or how he got to be where is now, but soon a turn of events changes everything. Ret Cooper now will find out who is really is and what his true purpose is. This book takes the reader on a fun and mysterious journey, with a unique take into a different world that the author creates. All of the character's are so very interesting and some are kind of strange to say the least. I really enjoyed all of the character's in the book and found myself to be quite intrigued by Ret and his past. One major thing I did love about the story was that the authors main focus in the book is the elements, Earth, Water, Fire, Air. 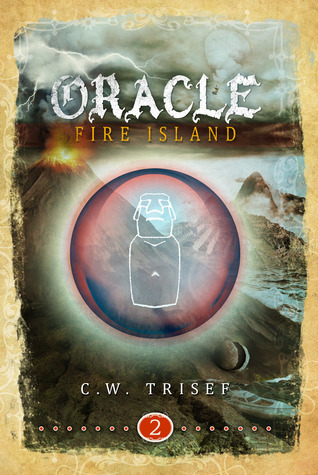 This really peaked my interest and helped to involve the book into a a great fantasy. Oracle - Sunken Earth had a Percy Jackson feel to it. The story kept building up and up with so many different twisted and turns along the way right until the very end. I would so recommend it to middle-grade and YA fantasy readers alike. Now I must be honest and state the down sides for me; as you can see I only gave the book 3.5 stars. While I really did enjoy the story and the character's within. I did have a few things I did not like, such as towards the middle I felt like the pace of the book had slowed and was somewhat hard to get into. Like I said I am not a huge fantasy fan but I do read it sometimes but the genre often lacks in romance. After I read the book I felt kind of like there was a piece missing in the story and I was not sure what. I so think a lot of that feeling is that the ending left on a huge cliff hanger and you would need to pick of the next book in order to see what lies in store for Ret. 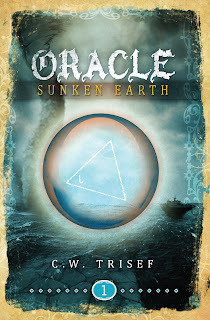 All in all Oracle - Sunken Earth was a fun read and I would definitely want to read book two. I feel as the books move forward the story will as well. Final Thoughts: I am very glad I was given the chance to read the book and loved that some of the books setting was based in FL. Although Oracle had it's ups and downs I did enjoy the read. this sounds like an interesting tale despite the rough middle..great review Beckie! Great review. I will definitely check out the Oracle books, thanks. I LOVED this book! I didn't find it slow at all; on the contrary, the pace only quickened as the plot progressed. I already read the second book in the series and loved it even more. Hip-hip-hooray for well-written literature!! !